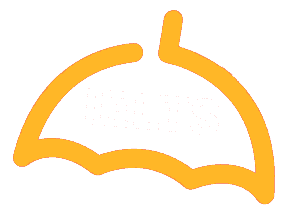 IELTS or the International English Language Testing System is considered by many as one of the most difficult English test. Required to score above 6-7 in most cases, we all ponder upon a lot of options before booking our test dates. True to its reputation, a good score in IELTS requires a lot of focus, determination, positive attitude towards learning and acquiring new things and preparation. A lot of you ask how long does it take to prepare for the test? The answer to which is ‘Depends’. Every one of us is at different levels in terms of how much we know the language and the pace at which we pick new things up. Thus, it is always better to decide according to one’s abilities. If you are looking for the Best IELTS book for self-study 2019 or supplement your training, here are the best three in the market as of now, for you to indulge in to get the best possible score. Looking for guidance, help and suggestions from our IELTS Trainer? You can attend our IELTS Online Training Program. The best book for getting acquainted with the IELTS Academic or General Training is this. Covering all the four modules of the test- Listening, Speaking, Reading and Writing, the Official Cambridge guide also comes with six Academic and two General Training full-length test papers for you to understand the test better. Based on the experience of three real-life test takers, Pauline Cullen, Amanda French and Vanessa Jakeman this is a practical guide to some of the best strategies to employ during the test. The book is chaptered into different sections, each giving you umpteen useful tips for a high score along with examples. Each task is described, techniques shared, and strategies are explained in detail to achieve a high score. If you are looking for an IELTS book, this is one you will most likely find and don’t bother to turn it down. Designed to guide you through an intense IELTS preparation, Simone Braverman’s target band 7 is the best when it comes to support you for a self study. The simple and concise content and design of the book helps test takers to understand strategies easily. Lacking on a specific module? We offer IELTS Personal Training on that module/modules that you need support with. Call +91 96 96 96 3446 for more details. Designed to guide you through an intense IELTS preparation, Simone Braverman’s target band 7 is the best when it comes to support you for a self study. The simple and concise content and design of the book helps test takers to understand strategies easily. With ample strategies starting from how to answer different sections of the test to time management, the approach and goal of the book is simple, i.e., to get you the best possible score. If you’re sitting at home and preparing for IELTS Academic on your own, this is one book that you surely must buy. The only possible thing that the book lacks is full practice tests. However, you can always find a complement to it in the form of the Cambridge Official IELTS Practice Materials (discussed below). The best way to go through the IELTS preparation is to go through a prep book (Bavarian’s is the best book for it) and supplement it with a lot of practice tests for you to implement the strategies and get ready for the exam day. These are the best IELTS books for self study 2019, these test books are a must for anyone preparing for the IELTS test. A total of 11 books, each book contains 4 Academic full-length sample test papers and 2 General Training test papers, along with answer keys. Coupled with a DVD, these books are aimed to give you enough scope to practice real IELTS test questions to prepare for the exam day. Do not expect these books to guide you with any strategy though. They are plain and simple sample test papers to give you the exposure of an IELTS test. If you practice them all and analyze your answers, you are sure to catch the rhythm of the test before you realize. The Official Practice Test books are surely the best investment for you to make.